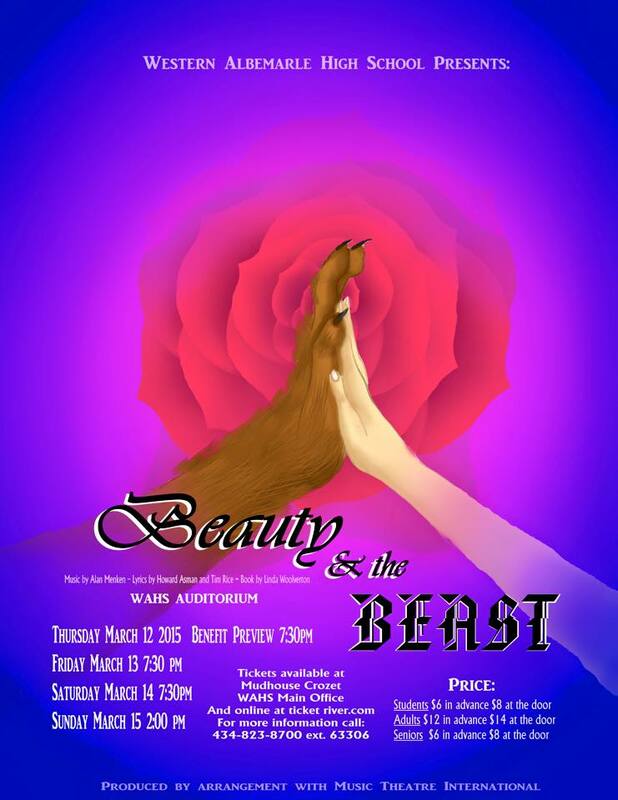 Beauty and the Beast at WAHS – featuring a mix of 55 students from Western, Henley, Crozet, and Brownsville and a 15 member orchestra, a crew of 20-25, nearly 100 Crozet kids are involved in this production. New dates … because Snow Happens! Tickets available in WAHS main office and online. Classic story of character triumphing over appearances, with memorable songs such as “Be Our Guest” and “Home”, charming characters, poignant scenes, beautiful costumes, and heartfelt message, this is sure to be a remarkable event.